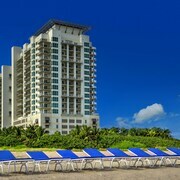 This oceanfront hotel sits on the white-sand beaches of Singer Island, 20 mins from PBI Airport. 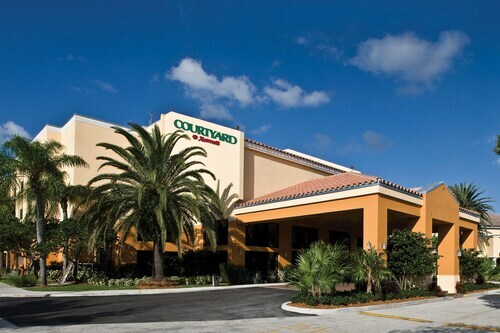 Nearby shopping of Worth Ave, Gardens Mall, Downtown at the Gardens, Clematis Street night life and City Place. 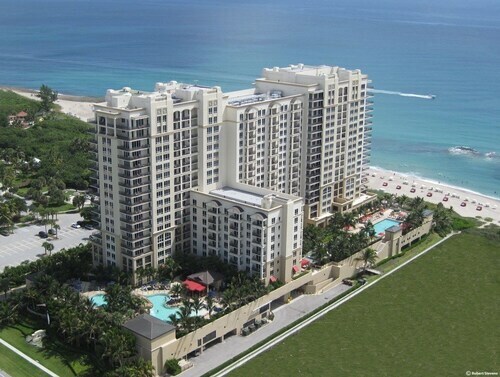 The all-condo Palm Beach Marriott Singer Island faces a white-sand beach and the Atlantic Ocean on Florida's famed Gold Coast; championship golf and upscale West Palm Beach shops are within 10 miles. 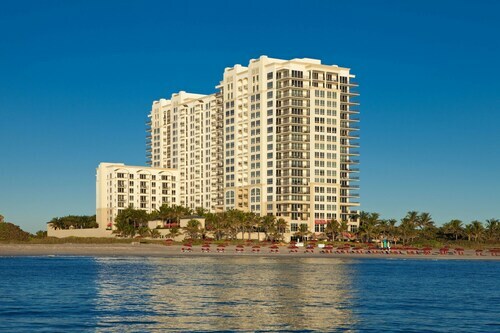 Nestled on the beach, this Singer Island condo resort is 0.4 mi (0.6 km) from Sailfish Marina and 2.4 mi (3.9 km) from Port of Palm Beach. Riviera Municipal Beach and Ocean Reef Park are also within 15 minutes. Nestled on the beach, this Singer Island condo building is 0.1 mi (0.2 km) from Ocean Reef Park and 2.7 mi (4.4 km) from Port of Palm Beach. Riviera Municipal Beach and Sailfish Marina are also within 1 mi (2 km). How Much is a Hotel Room in Singer Island? 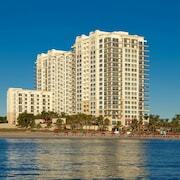 Hotels in Singer Island start at $159 per night. Prices and availability subject to change. Additional terms may apply. Pack your bags—it’s time to embark on a getaway. Whether you’re craving a solo retreat or promising your family a vacation to remember, book one of the best hotels in Singer Island. These hotels are located within easy access of the city’s hottest attractions and entertainment, so you won’t miss a beat while you’re in town. Spend the days exploring the local landmarks and the evenings getting to know the nightlife. After exploring the city from top to bottom, rest up at a hotel that speaks to you. Find the perfect place that matches your trip’s vibe, from a trendy boutique to family-friendly accommodations. 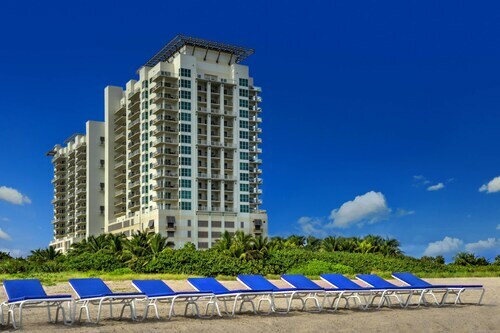 Allow us here at Travelocity to pair you with up Singer Island hotels that suit your vacation preferences. Discover places with convenient on-site restaurants, around-the-clock service, and pools where your kids can make a splash. Some hotels may boast fitness rooms and spa services, while others feature game rooms and Wi-Fi access. To top it all off, you’ll score cheap hotels in Singer Island that let you spend more on your activities and less on your lodging. Book and bundle your flight and hotel deals together today and save up to $537. It’s time to explore a new city, and break out of your routine. Great for a short stay. Very clean and comfortable. I stayed in the main building where lobby is, on 2nd floor. It was easy to hear people in lobby, walking up stairs, down hall, etc. But not a big deal for me. I slept great! Friendly and efficient staff. Desk person gave great advice on dining at nearby Whole Foods and heads up on problem with shuttle. This hotel is very close to the airport and several amenities. I like the hotel the staff was very nice. My family and I just had to keep getting our key card rekeyed everyday. I didn’t like that I landed @8:30 and I had to wait until 3:00 O’clock to get a room to rest; as I felt so tired. This hotel is an excellent property, nice location. Quick check in and check out, very friendly staff. A beautiful pool area, immaculate dining facility, very clean room. One of the most comfortable beds and pillows! And there is a very good bistro in the hotel. 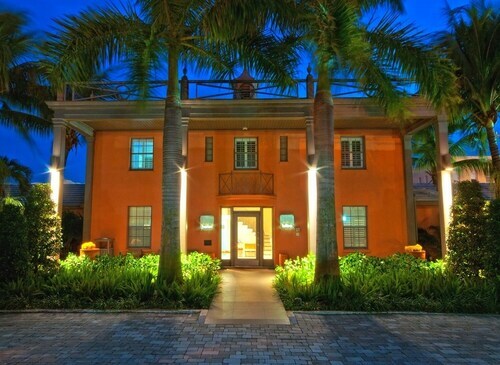 Large Beautiful Home, Heated Pool, Steps To Beach! 3 Bedroom 2 Bath Villa Just Steps to the Beach!